Concentrated poverty, extreme joblessness, mass incarceration and declining incomes for those who are employed. That’s a brief and bleak glance into several issues highlighted in a new report analyzing social and economic challenges plaguing the 53206 ZIP code area of Milwaukee. And although some of the findings from the UW-Milwaukee Center for Economic Development study did show small signs of improvement, the picture is far from rosy for residents of the neighborhood bordered by North Avenue and West Capitol Drive, and North 7th to 27th streets. There is a 50 percent employment rate for men in their prime employment age (25-54), compared to a 77 percent rate for men overall in the city and 89 percent rate in the suburbs. The overall employment rate for men in the 53206 increased from 36 percent to 47 percent from 2012 to 2017. The employment rate for women aged 20-64 in 2017 was 53 percent, compared to 68 percent in the city and 77 percent in the suburbs. Less than a quarter of high school dropouts, men and women (ages 25-64), were employed in 2017, almost half the rate of high school dropouts from other parts of the city. Only 54 percent of high school graduates in the area were employed, while 73 percent of those with a bachelor’s degree in 53206 had jobs, a lower rate than suburbanites with only a high school or high school equivalent diploma. The median annual earnings in 2017 for workers in 53206 was $18,541, less than half what their suburban counterparts earn. For men, the median earnings was less than one-third that of men in the suburbs. Adjusting for inflation, the earnings of male workers in 53206 decreased 33 percent since the turn of the century. More than 1 in 5 employed residents in 53206 reported income below the poverty level. Fifty-five percent of children in 53206 lived in poverty in 2017, a decrease from nearly 67 percent in 2012. The overall poverty rate in 2017 was 42 percent, six times higher than the rate in Milwaukee’s suburbs. Generational poverty: African-American men who were born and raised in low-income households in 53206, on average, have experienced no upward economic mobility over the past generation. Women with the same characteristic showed minimal economic mobility. 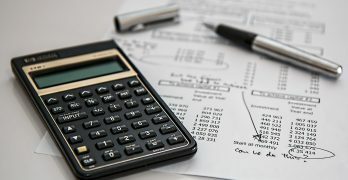 The average annual income of a white man born into poverty was more than double that of a black man born in 53206 by the time they reached young adulthood ($36,477 to $15,551), a clear example of the impact of race and neighborhood on economic opportunity and trajectory, the study’s author noted. The home-ownership rate in 53206 has declined from 39 percent to 34 percent since 2000. More than one-fourth of the housing units in 53206 are vacant, compared to only 5 percent of homes in the early 1970s. Sixty-two percent of renters in 53206 paid more than one-third of their income in rent. Not the most incarcerated ZIP code in the nation? According to the study’s author, although the incarceration rates in 53206 are “staggeringly high,” evidence shows that they’re not the highest in the nation, as has been commonly reported. Data available through the Harvard University-based “Opportunity Insights Atlas” shows that by their late 20s and early 30s, from 10 percent to 34 percent of low-income African-American males in 53206 had been incarcerated, with the rates varying by census tract (geographic area within 53206). In 2013, 24 percent of black men from 20 to 64 years old in 53206 were incarcerated, while 42 percent of men from ages 25 to 34 were in jail or under community supervision. The incarceration rate for men from ages 25 to 34 in 53206 decreased from 47 percent in 2007 to 42 percent in 2013. 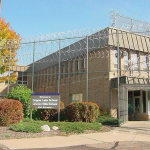 The rate was 24 percent in 2001, according to data from the Wisconsin Department of Corrections. Twenty-two percent of workers in 53206 relied on public transportation, compared to 8 percent for the counterparts in Milwaukee and 1 percent for those in the suburbs. Nearly 16 percent had a commute longer than 45 minutes to get to work. Twenty percent of 53206 residents aged 18 to 54 were uninsured in 2017. The population in 53206 decreased from 59,000 in 1970 to 23,817 in 2017. According to UW-Milwaukee professor Marc L. Levine, who authored “Milwaukee 53206: The Anatomy of Concentrated Disadvantage In an Inner City Neighborhood 2000-2017,” the study provides an in-depth look at over two decades worth of data on factors that significantly impact 53206 residents, including employment and poverty rates. Among the key issues the report analyzed were how poor children who grew up in the area fared as adults; the comparison of 53206 to the rest of the city and suburbs; and whether it was actually the most incarcerated ZIP code in the nation. The study is “good” as it show the reality that the lives of thousand of individuals are altered because they did not learn how to read. Note there is reading and “reading”- the difficult process that has no joy connected to it. The question has been and continues to be WHY are some our children, not mastering reading and learning. Yes when will the community face itself and begin with a third grader who is struggling and resolved whatever issues are stopping THAT child from learning and then the next and next and after we review the lives of 100 or 200 we will begin to see the issues that underlie the reason that by third grade the vast majority of those who are incarcerated were not reading at grade level and had stopped learning. You make a good point. This article focuses on adult outcomes and points a finger at society. However, if we focus on childhood opportunities, we see that the problems being in our education system. Another painful reminder of what little progress we seem to be making in Milwaukee, the city that moves with all deliberative lethargy. Why is this so? Why aren’t we making more progress after all this hard work by so many? For one thing, we have a local economy built on the assumption that thousands of Milwaukeeans, many who work full time, can be paid substandard wages that trap them and their children in permanent poverty. We try to alleviate this through programs that reduce the hardship for individuals but widespread poverty persists. Equally important is the racism directed toward black Americans and other communities of color. Racism, deeply embedded in America since our country’s founding, has been, and remains, a defining feature of our Milwaukee. 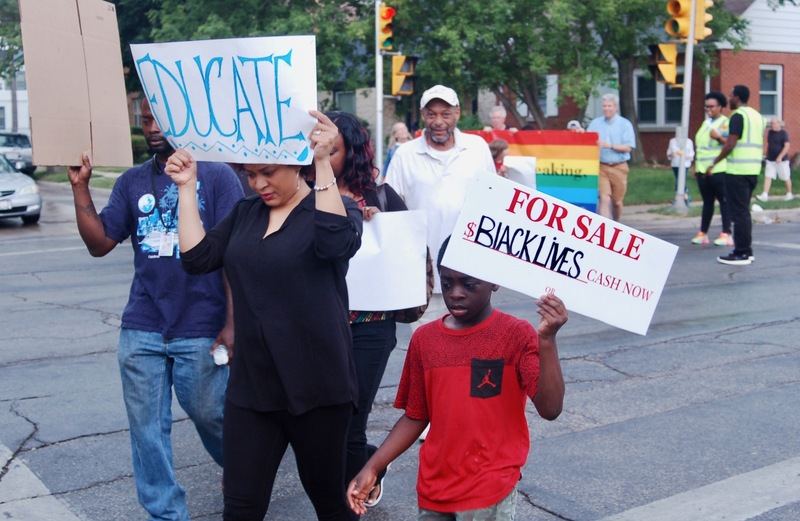 Local efforts to address this in 53206 and in other neighborhoods have aided some individuals but racism at the deeper systems level remains, giving rise to disparities in every sector of community life. That’s because we’ve failed as a community to tackle underlying root causes — those economic, social and political systems that reflect and maintain racism and associated extreme income inequality along with high levels of poverty. If things are going to really change, we need to shift attention from modest goals providing relief for some, to courageous actions that challenge and change the economic, social and political systems that are root causes of many problems we face . Frank, thanks for writing and also plugging the March 13 leadership briefing. The link to the study is “broken”. Thanks for catching that, Ambrose — just fixed it. Yes thanks Frank Martinelli. Mr Spellman, the reality that the children face each day is why they do not read…or enjoy reading. Mr. Martinelli’s comments point to this reality and to the need to “resolve whatever issues are stopping” the children from reading. It is not a one stop fix. We have substituted a growth focused economic system for a system that supports a healthy life for all. We need a food system that gives healthy food access to all. We need a just justice system. We need secure housing and basic health care. That one child needs a family that is intact, a home, a neighborhood that is safe, a school with resources, a community that is an open door. When we have the will we can work together to make that happen. Read people like Charles Eisenstein for a positive way into the chaos we have created for one child and all our children.